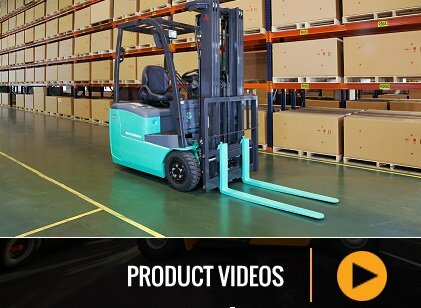 What kinds of forklifts do you offer? Where do you offer forklift rental? How do you guarantee a quality product? What forklift parts do you carry? Do you lease new or used forklifts? We offer a comprehensive range of equipment including over 80 IC and battery electric models. We also stock a full range of parts for new and used forklifts, container handlers and more, and warehouse products should you require. To see our full range of equipment, visit our forklift hire and sales pages or contact us for more information. MLA has branch and dealer networks across Australia, but with a head office in Sydney, NSW. The company specialises in forklift rental in Sydney, ACT, Melbourne, Brisbane, Darwin, Perth, Adelaide and Hobart . We have offices in all major capital cities in Australia. Choose from a number of Mitsubishi and Vulcan new and used forklifts in the range. 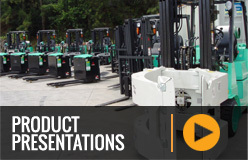 Visit our forklift rental page for a full list of vehicles available for lease. At MLA, we have established a Quality and Safety Management System that complies with the requirements of the International and Australian Standard AS/NZSISO9001-2008. It is this policy that ensures we deliver quality forklifts to our customers throughout Australia. We are focused on achieving an individual solution for your material handling needs. Because of this, the hire cost will differ for each business. This depends on the length of the agreement, the type of forklift and your location. We offer petrol, diesel and gas forklifts, electric forklifts and battery forklifts to meet the needs of any business. Speak with our staff members to see the best solution for your business. We stock new and used equipment, and both are available for purchase. We lease new and used models and sell both new and pre-owned forklifts to ensure you get the best return on investment. All second-hand equipment including container handlers have been maintained by our service department and come with a quality assurance. MLA was first established in 1980, and continues to deliver the same quality service today. With more than 30 years of experience in the industry, we can provide advice on the most suitable forklift for your material handling requirements. We have our own fleet management department to assist with material handling technical support. Staffed by a team of highly dedicated people, our fleet management service provides an on-going consultancy that evaluates the customer’s material handling needs and recommends a cost-efficient solution. See our fleet management page for further information.